Demand Foam Lok Adhesive - 17.25 oz at Tamarack Materials, Inc. 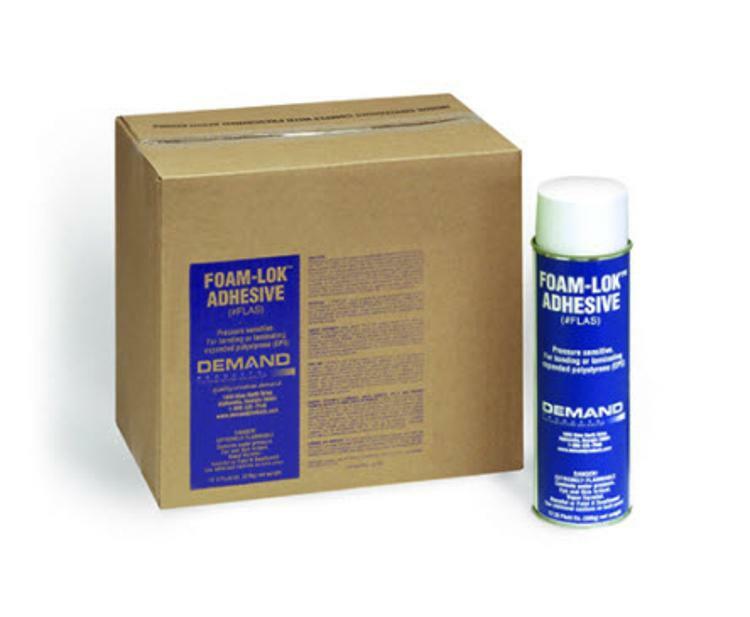 Foam Lok spray foam adhesive bonds Styrofoam and other polystyrene materials in 4 minutes or less. Use this foam spray adhesive to bond polystyrene (EPS & XPS) foam to wood, metal, fabric and many other surfaces Foam Lok Adhesive is both pressure sensitive and water resistant.